Mostly Positive (65) - 73% of the 65 user reviews for this game are positive. Thank you for all of your feedback during the first month of launch! We have been reading all of your thoughts and suggestions over the past month and we intend to address some major community requests over our next few updates. In last month’s Developer Update, we confirmed that PS Move support is in the works. We are excited to announce that smooth turning will be supported soon as well! PS Move support and smooth turning will be added to the game in early May during an upcoming update- stay tuned for more details. 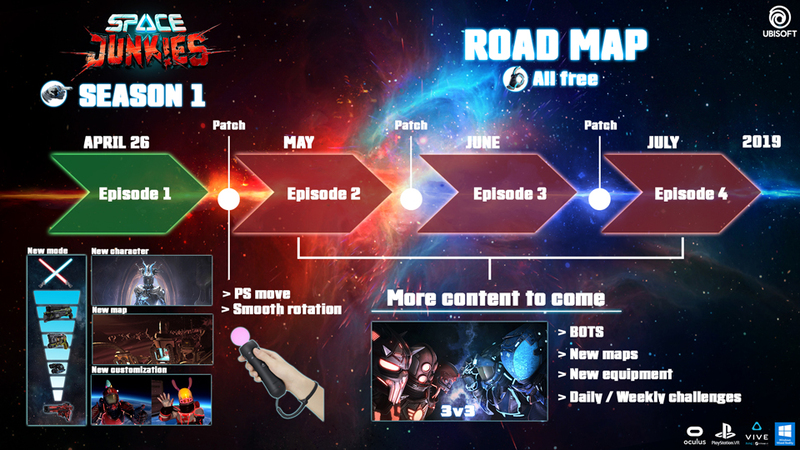 The first episode of our Season 1 content has been added to the game in today’s update- this is free for all players! We hope that the lower price will attract more players and make it easier to find a match at all times. We realize that some Pioneers who have already purchased the game may feel troubled over this change; however, we feel that this is the best course of action to maintain a positive game experience. Spacers who currently own the game will receive a special gift as a thank you for their support: 10,000 coins, an Easter helmet plug, and dragon wings! Your feedback is very important to us as the game continues to grow! You can reach out to us here on the forums or on our community Discord. That’s all for now! We are very excited to introduce many more features to the game and we can’t wait to share more details on our upcoming plans. 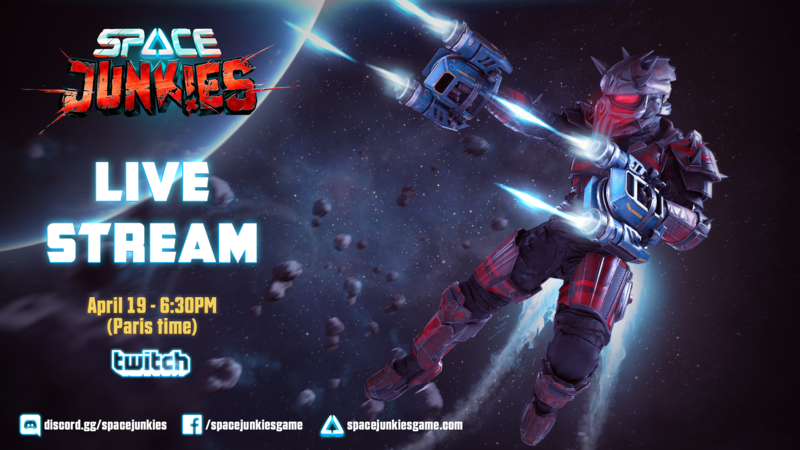 Space Junkies is live now! Join us on Twitch for a special developer livestream.